Beach Day in Ogunquit, Maine: Take a break on the coast, walk the Marginal Way and have a meal overlooking Perkins Cove at Barnacle Billy's. I never knew going to the beach and not getting into the water could be such a great and fulfilling experience. Apple Picking in Contoocook, New Hampshire: A drive up the Merrimack Valley is quite picturesque and apple picking at Gould Hill Farm will just add to that. On clear days, the farm offers 80 mile insanely beautiful panoramic views of New Hampshire, including Mount Washington. Some days horse drawn carriage rides are offered (sadly not when we were there), but, I did get to try their amazing cider donuts and do some apple picking throughout their vast orchard. 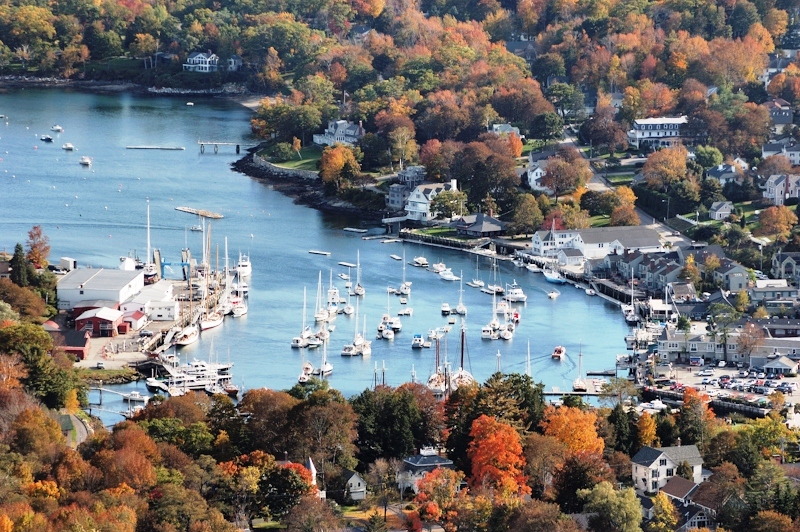 Birthday weekend in Camden, Maine aka The Jewel of the Maine Coast: One word - WOW! It started with a sail out in Penobscot Bay, then a little rest in our room at Whitehall and topped the evening off with the most amazing dinner ever had at Natalie's at the Camden Harbour Inn. I highly recommend visiting Camden for any romantic getaway or celebrations. 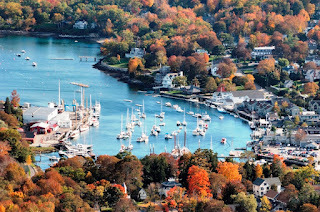 It was such an escape here in New England with the most amazing cuisine, beautiful harbor and cute town. Hiking Pack Monadnock (easier than Mount Monadnock) and discovering great food in the New Hampshire Monadnock region. If you are in the area for a good hike HIGHLY recommend Taqueria Odelay in Keene for some of the best tacos I have ever had (trust me I know my latin food) or for a pre or post hike Brunch (which doesn't seem to exist outside of metropolitan cities) try Riverhouse Cafe in Greenfield with delicious breakfast plates, cute decor and yummy mimosas. *Photo credit given to those due. Recently I have been leaving my phone behind and focusing on savoring the moments. Photos shared closely resemble items and experiences lived. The space is spectacular and this venue is just what we needed for our event. It is the best place to have an event and we had an awesome experience here. The event venues staff is excellent; they are so attentive to all of your needs.